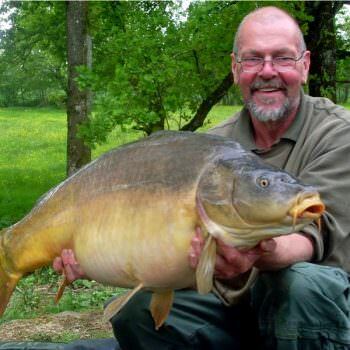 Many anglers came to Beausoleil in North France with their friends or families to enjoy the exciting fishing and immaculate accommodation that this venue offers. Here, we recall some of the most memorable fishing stories of the year. 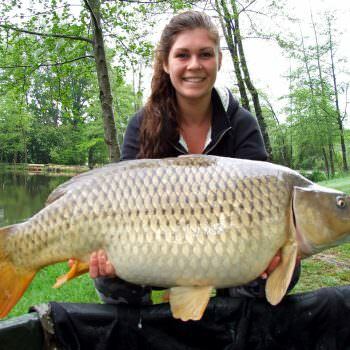 Here’s an overview of the most memorable carp and catfish fishing successes of 2013. May these stories inspire all our visitors for 2014! 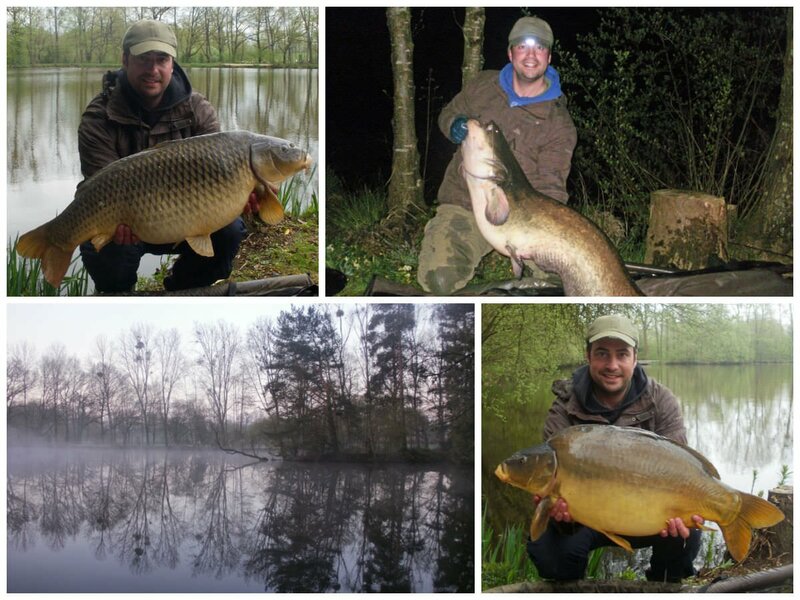 In early May, Beausoleil regular Steve took 10 carp in total during his week’s fishing, five of which were thirties and two that we had never seen before which Steve named. Most of Steve’s fish came from one feature which he fished with just one rod during the days. Bait was introduced in small quantities at regular intervals. Steve also managed a 63lbs catfish. 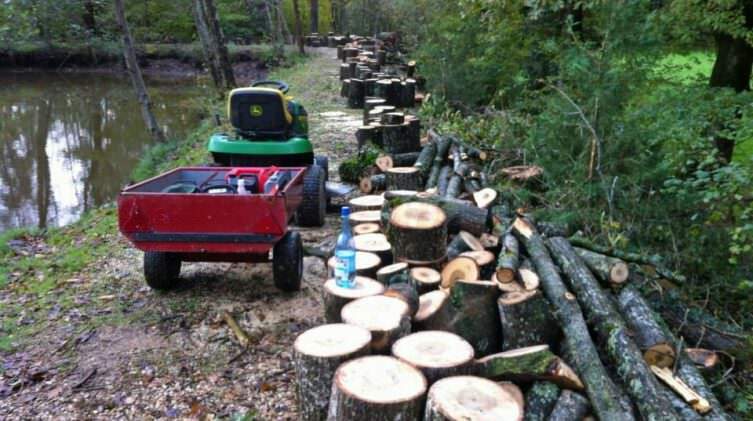 Steve once again demonstrated that it’s not necessary to fish 24/7 as long as your rigs are in place for bite time. Steve and Jane, we look forward to seeing you again next year! 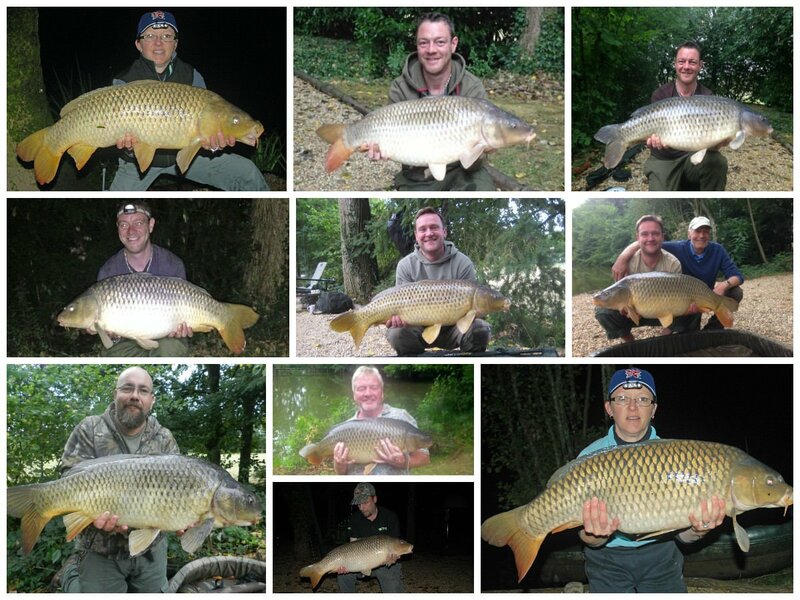 Kevin was not far behind Steve with 9 carp out at the end of August including 3 thirties. Technically and tactically, Kevin was spot on. He used hand sharpened hooks and the Beausoleil double bottom bait carp rig with Blue Oyster baits. Lines were fished super slack and he moved swims every day to keep the fish guessing. He also pre-baited various spots where he’d seen carp activity and targeted them later during the week. 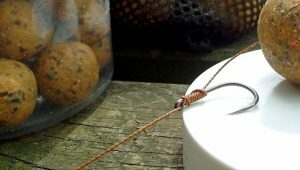 Kevin also experimented with washed out baits as he found that a bait that had been in the water for 24hrs produced consistently. A move to washed out baits produced results much quicker towards the end of the week. A great week’s results for Kevin’s efforts. Catfish fishing at Beausoleil is often the most exciting type of angling that our customers experience. This year, 5 lucky anglers got the pleasure of handling and landing a 90lbs+ catfish so congratulations to: Trig (April), Gary (May), Simon (July), Dennis (August), and Dave (September). We also had 9 catfish over 80lbs throughout the year. 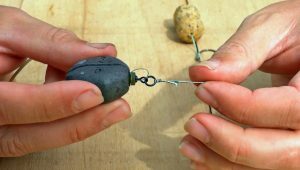 If you want to prepare for the excitement and joy that these beasts provide, make sure you have the right tackle to handle large catfish and that you take precautions to avoid mainline failure. We usually see a couple of commons out each week but these 7 anglers got 10 out over 2 consecutive weeks in August, all caught on Blue Oyster baits. Sam visited Beausoleil for the 3rd time with her husband and 2 friends and for the first time, she was the top rod for the week! 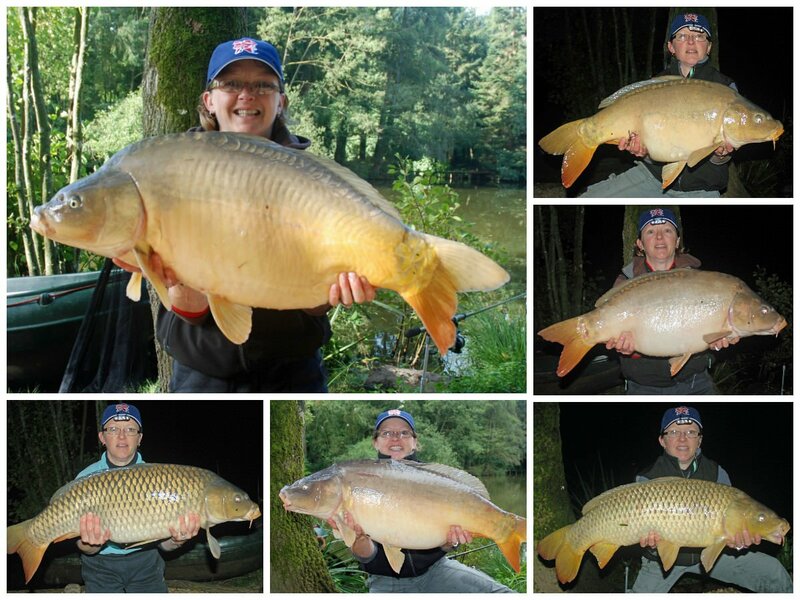 This is the best ever catch of carp in a week by any of the women carpers that we have welcomed over the years. 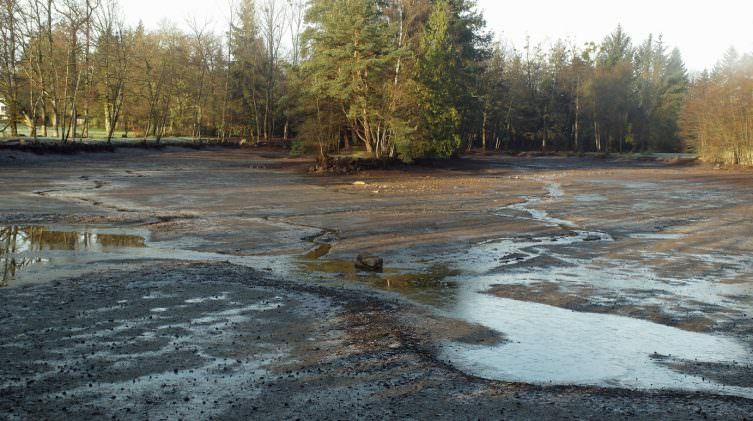 The secret to Sam’s success was to accurately locate and place rigs on the hard gravel patches using the rowing boat. 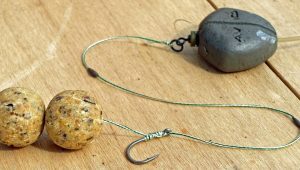 Sam also used the Beausoleil big carp rig with hand sharpened hooks. This family take their carp fishing very seriously with the whole family spending 6 nights underneath the stars. During the days, they rested the swims and enjoyed relaxing in the house and grounds. At night, they were ready for the action! Special mention to young Jack who landed his dream catfish at 74lbs at 3am on the very last night. See you again in 2015! 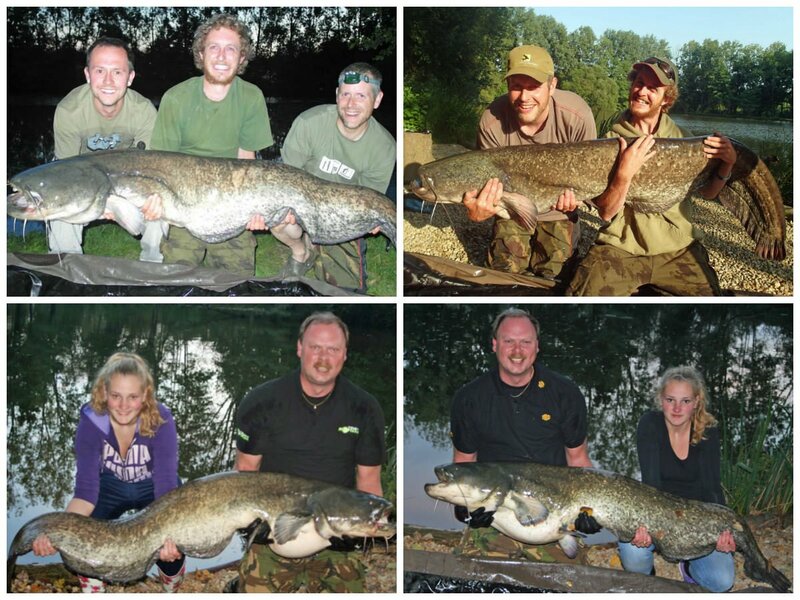 8 catfish over 50lbs in one week: Catfish fishing at Beausoleil in July is usually great but this year, we had an awesome week with 8 catfish in total between 50 and 85lbs caught on Blue Oyster boilies and on the Beausoleil universal carp and catfish rig. A brace of 80lbs+ in October: October is not a month we associate with big catfish captures, but this year, with milder temperatures, Sander caught not one but two big catfish at 84 and 88lbs. Andy came in April and was the only angler this year to catch all species in the lake: common carp to 33lbs, mirror, sturgeon (no photo) and catfish to 80lbs. 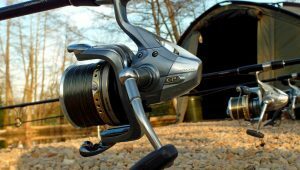 If you enjoyed these stories and want to experience a great fishing holiday with your friends or family next year, check out our availability calendar. First holiday at Beausoleil: WOFTAM AC Rules!